On busy nights, instead of going to the fast food drive-thru window for dinner, try this delicious 15-minute stir-fry meal at home with chicken and veggies. Stir-frying, a traditional Asian cooking technique, is quick and easy and healthy. Stir-fried vegetables retain most of their nutrients, and the small amount of oil is low in fat. In addition, you will eat better and save money. Feel free to substitute the chicken with tofu or beans for a plant-based alternative. • Heat 2 tablespoons of oil in a large skilled to medium, high heat. • Add the chicken, veggies, garlic and spices. • Cook for 8-10 minutes, stirring occasionally until the veggies are soft and tender and the chicken is golden and cooked through. • Serve with 1 cup cooked brown rice, quinoa or whole wheat pasta. Nutritional information (per serving when served with 1 cup of brown rice). Calories 400, Carbohydrate 43 g, Protein 28g, Fat 12g, Saturated fat 1.2g, Sodium 392mg, Sugar 5g. Angie Placeres is a wellness dietitian at Baptist Health South Florida with specialties in wellness and prevention, diabetes, sports nutrition, weight management, and cardiovascular health. She has been employed at Baptist Health since 1996 and also serves as an adjunct nutrition professor at Florida International University (FIU). In addition to being a registered dietitian, she is a certified diabetes educator and fitness expert. 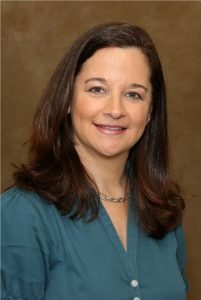 She is past president of the Miami Dietetic Association and has received numerous awards including: Recognized Dietitian 2000, Greater Miami Dietitian 2001, and Distinguished Dietitian of the Year 2002. Angie received a bachelor’s degree in psychology with a minor in teaching, and a master’s degree in dietetics and nutrition from FIU.